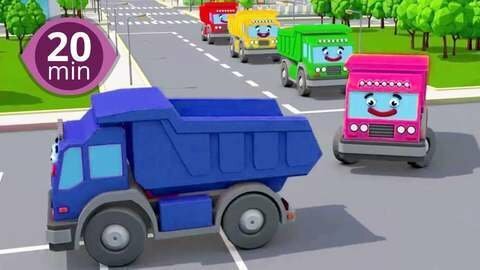 Dump trucks drive round helping kids learn colors in 20 minute 3D car cartoons. Orange dump truck and his friends deliver gifts as educational songs like The Wheels on the Bus play in the background. All episodes are free to watch and are available at SeeZisKids.com!